You’ve created fabulous and original content with words that sing off the screen. Congratulations, you’ve nailed the hardest part of becoming a successful blogger. 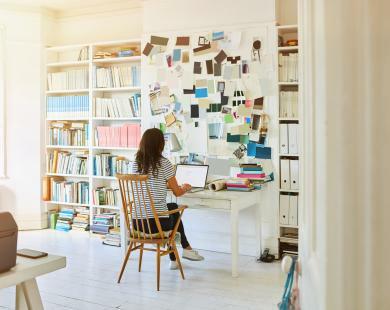 However, if you don’t have a strong, SEO-friendly title attached to your post it’s likely to drown in the sea of other blog posts and articles returned by Google, Bing and the like. 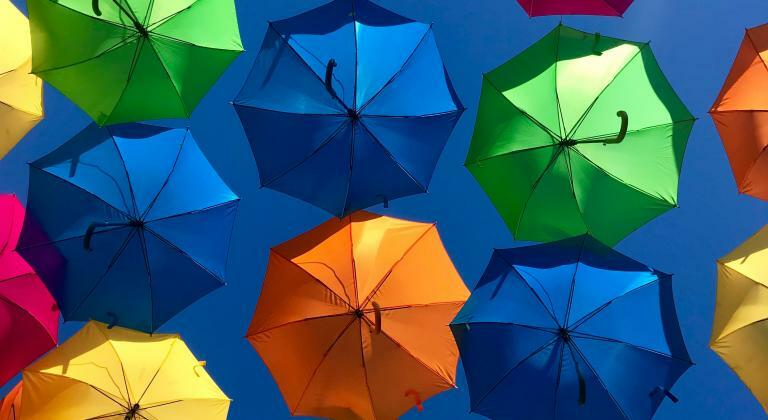 Luckily, creating search-optimised blog titles – ones that are more likely to appear at the top of Google search results – is easy with your new best friend, the Google AdWords Keyword Planner Tool. The Keyword Planner Tool is free to use, but you will need to create a free AdWords account first. The good news is you can sign up today and it will only take you a couple of minutes – here are instructions. Once you’ve got your account up and running, you’re free to dive into the all-important keyword research. Er, what is keyword research? Keyword research is the process of learning the words and phrases people typically use to search for information online. It helps you to know, for example, that when you’re writing a post helping your readers to get started with yoga, three times as many people are Googling “yoga for beginners” than “beginner yoga”. A minor change, you might think, but it can have a huge impact on your SEO! 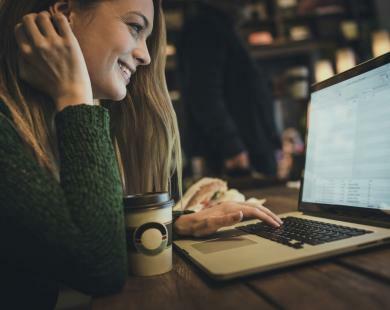 Plus, by looking at the combination of words people use to find information, you can get ideas for new blog posts at the same time as gaining a better understanding of how to word your titles for SEO. This simple process can be the difference between writing an amazing blog post that nobody sees and writing one that reaches hundreds or even thousands of eyes. Over time, lots of search-optimised post titles means more traffic! Let’s imagine you’re a craft blogger and want to create more content themed around knitting. It’s making a comeback you know! 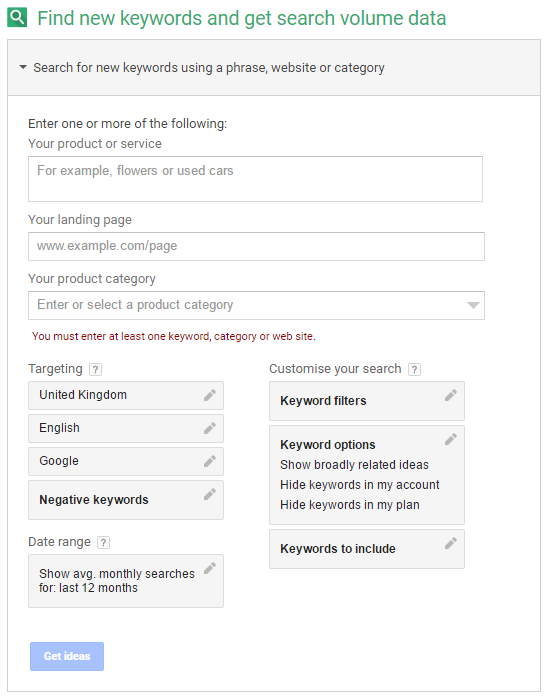 Start by selecting ‘search for new keywords using a phrase, website or category’ and write ‘knitting’ in the top ‘your product or service’ box, then hit ‘get ideas’. As you can see from the screenshot above, the average number of monthly searches for knitting and crochet patterns is high. Do a bit more digging and you’ll see that people are most interested in knitting baby stuff, so creating your own, free knitting patterns for baby items has the potential to bring in a ton of traffic to your blog. Don’t want to blog about babywear? You can try out more specific search terms – ‘scarf knitting patterns’ for example – and compare how many people are looking for different things. If you’ve already created a blog post – or have your heart set on writing about a particular subject – you can use the Keyword Planner tool to optimise your title, ensuring your post enjoys the most amount of search traffic possible. Let’s say you have written a post about the basics of knitting. By entering a combination of words and phrases related to the basics of knitting, you can get a better idea of the kind of things people search for around this subject. 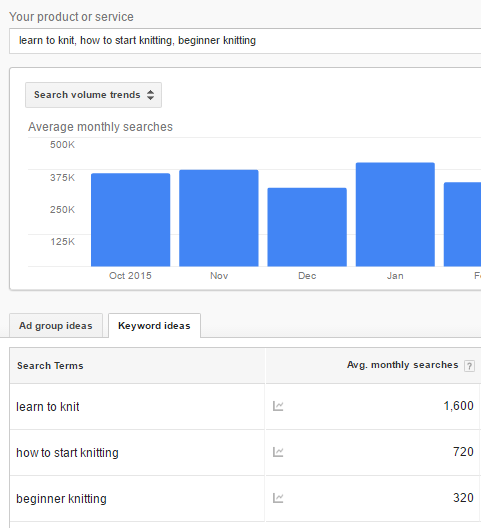 From the example above, you can see that ‘learn to knit’ would be the best phrase to include in your title if you want it to show up in more people’s Google searches. So, how do I turn these words into awesome post titles? Now that you have a selection of SEO-friendly ‘keywords’ (words or short phrases) to choose from, it’s time to integrate them into a blog post title your readers will love. Let’s take ‘knitting patterns for beginners’ as a starting point. What brand makes the easiest knitting patterns for beginners? Why these adorable knitting patterns for beginners will make you want to start knitting! The important thing to remember is to make your titles relevant to search engines but still engaging for your actual, human readers. The best SEO-friendly blog titles incorporate keywords with a high search volume in a way that flows naturally and isn’t ‘spammy’. Because no one wants to read spam! 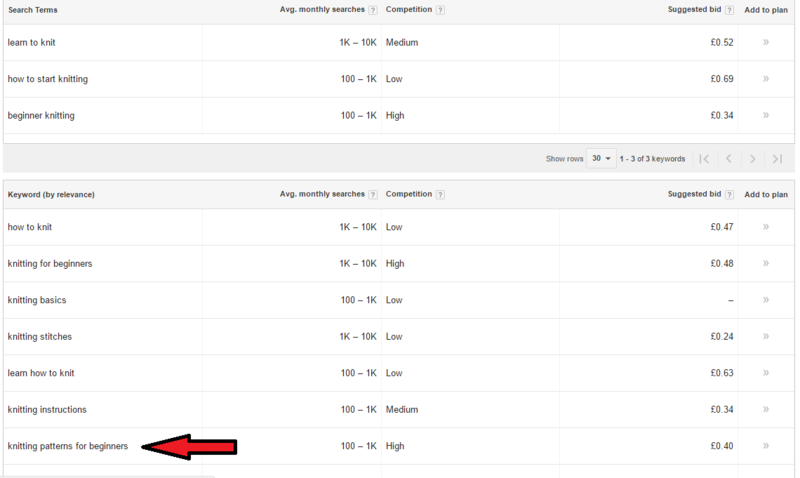 So now you know how to use the Google Keyword Planner tool for creating SEO-friendly blog titles. For even more tips on how to catapult your blog posts up the search rankings, check out our post, ‘Six Tips to Boost Your Blog’s SEO’. 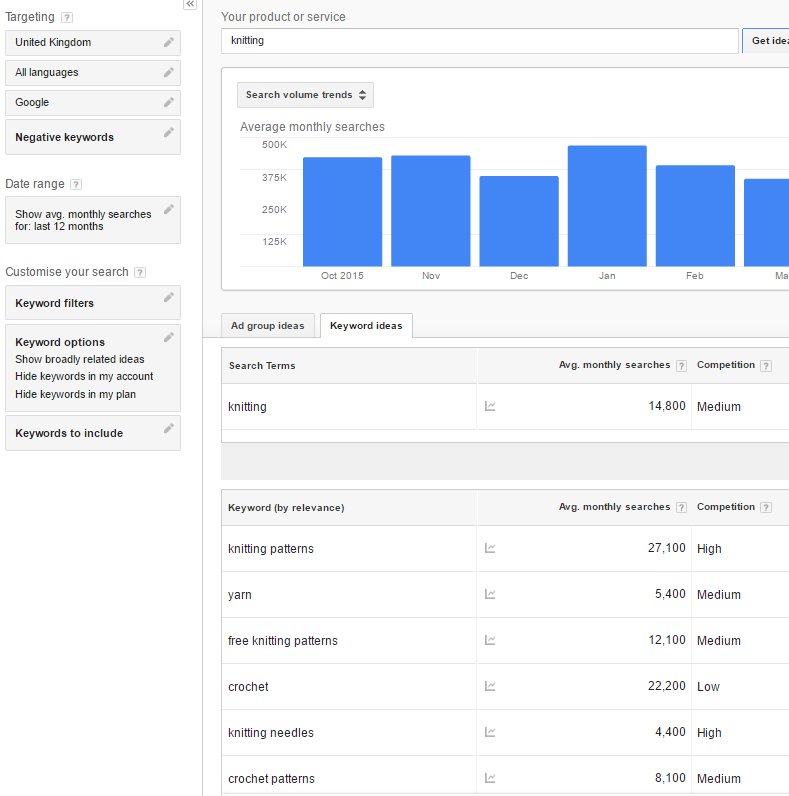 Do you have any tips for using the Keyword Planner tool that we’ve missed? We’d love to hear about them in the comments below. 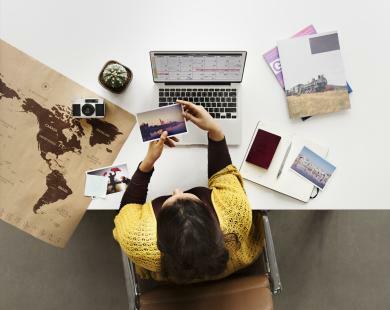 Image tags, such as the Alt Text tag and image title, will help you to get more blog traffic from Google and from Pinterest! Here's how. Link Tagging for Influencers – How to, and Why Bother? We’re bringing our analytics expertise out of the woodwork today for an advanced-level guide to link tagging, which could help you improve even further. Discover how to use the Google Keyword planner to write blog titles that readers AND search engines will love. Very Nice Article, you have explained very well by keyword planner. I was struggling to write content for SEO friendly. Now I have got good information in this article. I will use these tips to write SEO friendly content. Thank you so much for tips. Very nice explanation of using keyword planner. I have a query that to create an effective post we need to take high competition keyword or Low competition keyword sir. Very well written article. I was struggling with optimization of the contents of my websites. But now I have the perfect solution to my struggle. I won’t be struggling anymore from now on.